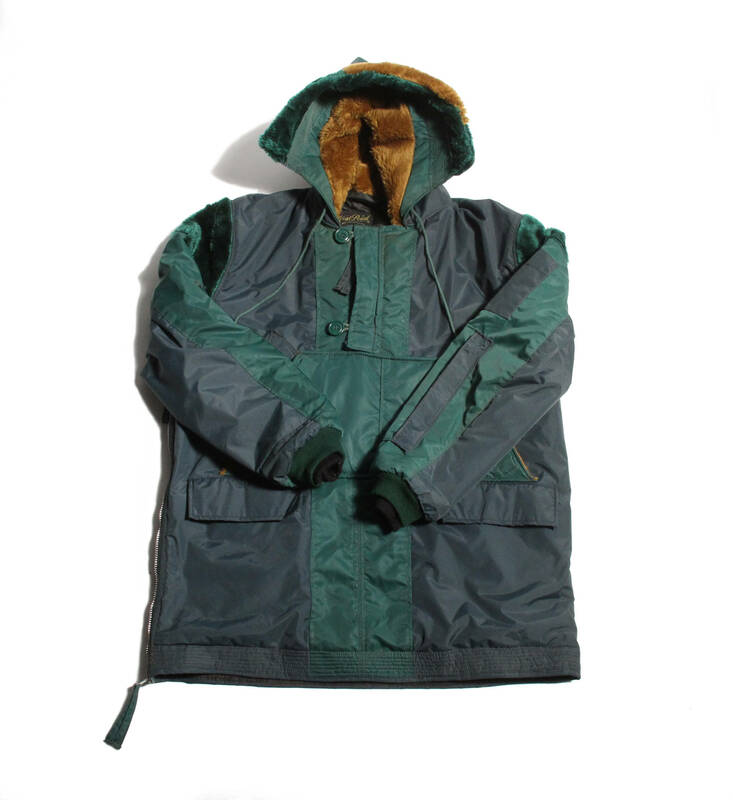 2 vintage nylon snorkel parkas went in to this one jacket. 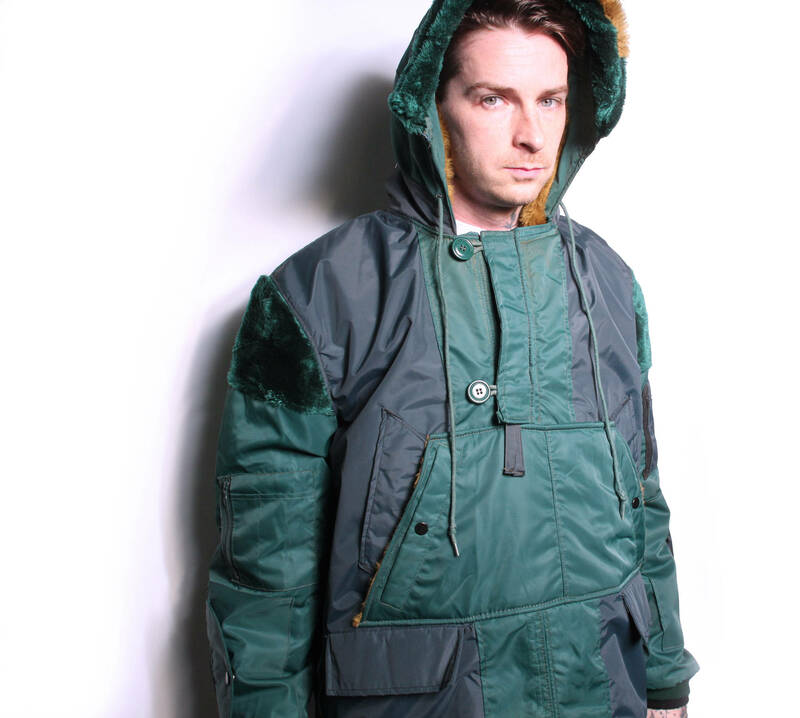 styled after the functional Columbia and Sierra designs rain jackets of the 90s. half zip collar. vintage military surplus Scovill Gripper zipper. 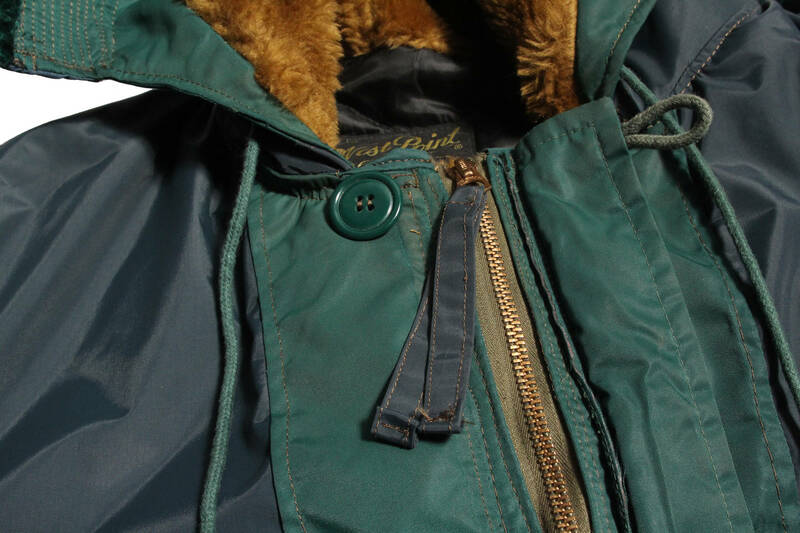 buttoning flap, high pile fleece lined gusset. multiple compartments on both sleeves. 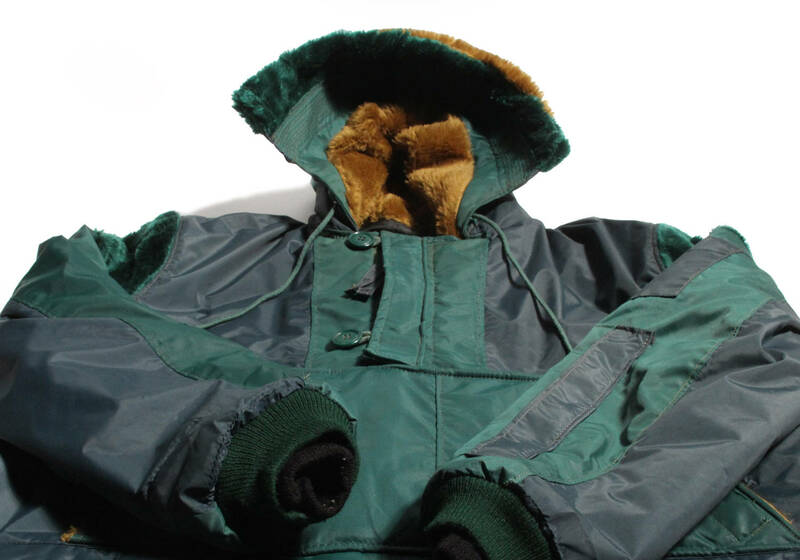 three sets of pockets on the chest, one set is lined with the same high pile fleece as the hood. 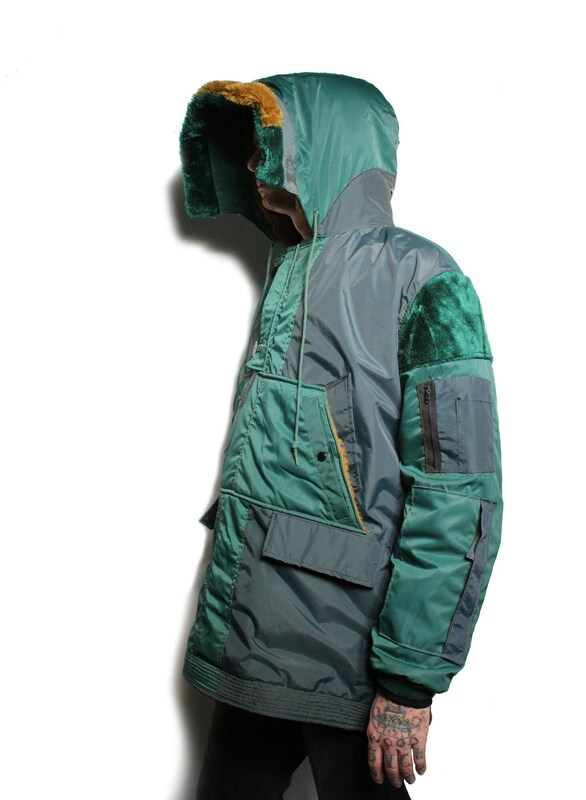 flapped action pockets on the front. 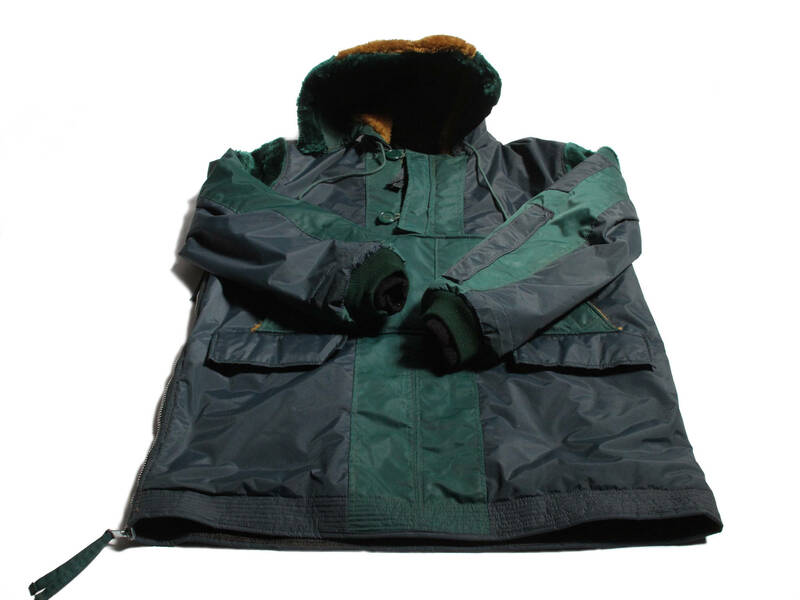 emerald fleece panels on the shoulders. 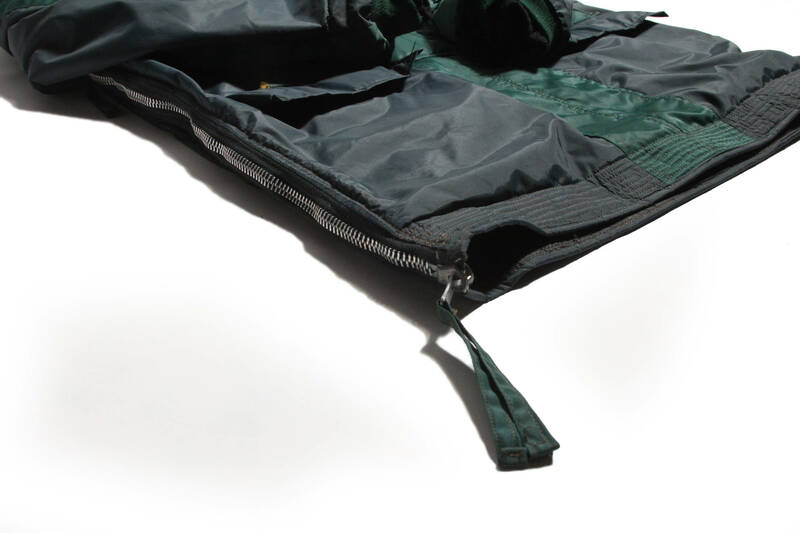 repurposed zipper from one of the previous parkas vents the right side with a pair of sliders. hood has extended fleece trimmed visor and drawstring. black and green double cuffs. 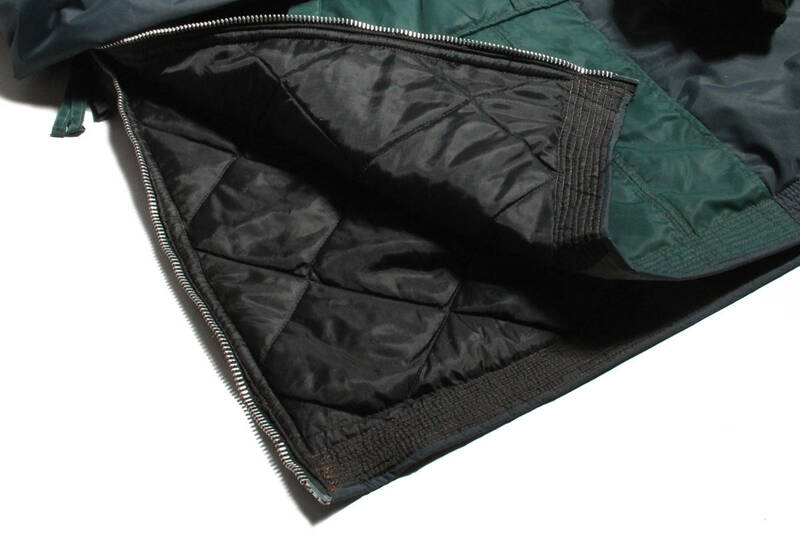 lined with quilted nylon insulation and is very warm. fits like a mens size XL.